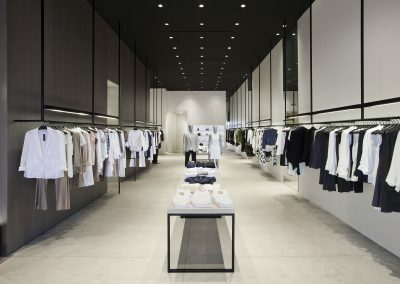 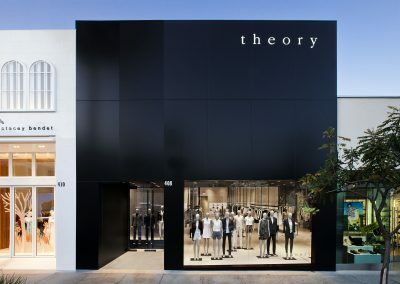 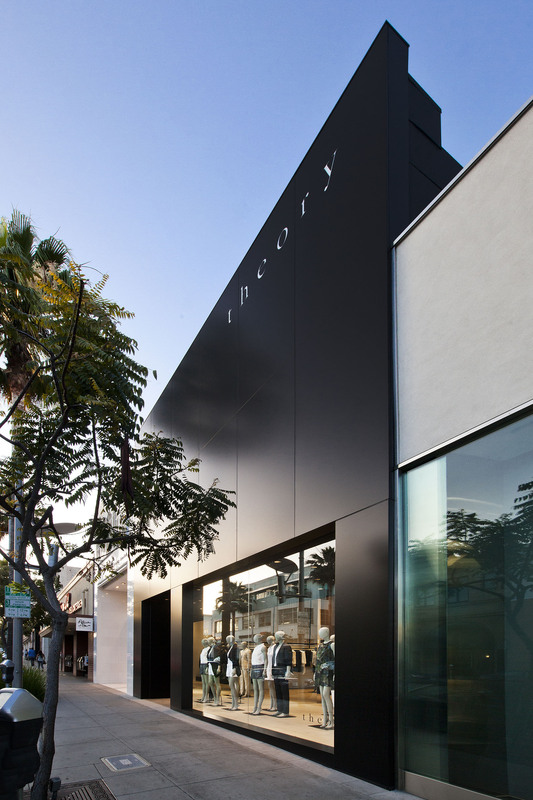 The Beverly Drive Theory shop is a minimalist masterpiece. 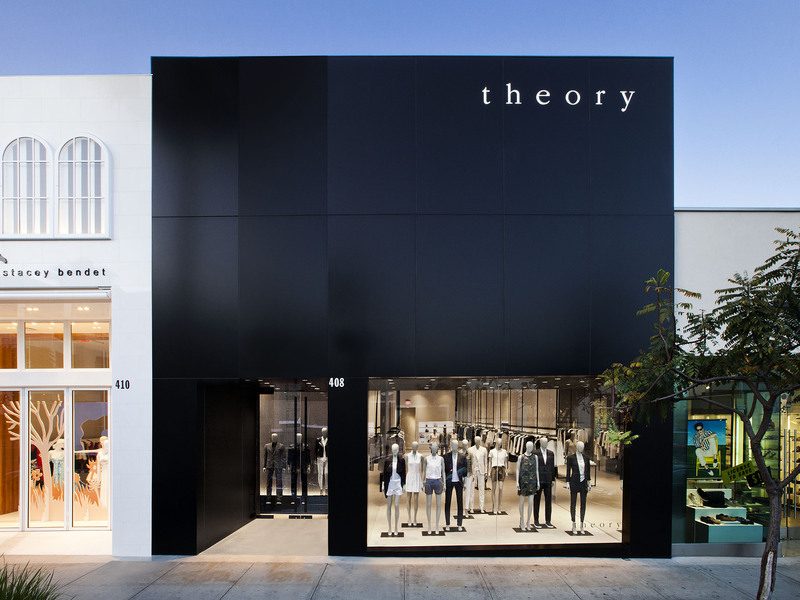 For this brand, the shopping experience is akin to perusing a finely curated museum exhibit. The color palette is limited to shades of grey which resonates with their core aesthetic. 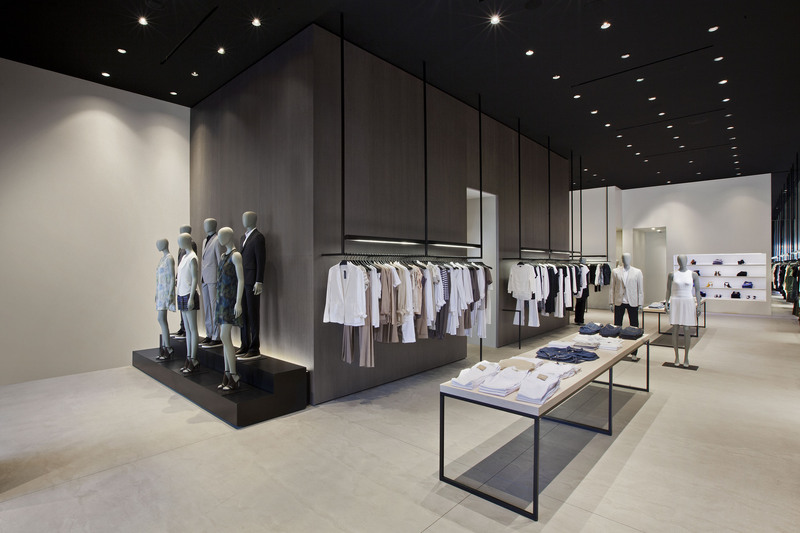 Unadorned black steel hangrails feature integrated LED lighting. The floors remain simple in a concrete finish while some of the walls feature greyed wood paneling. 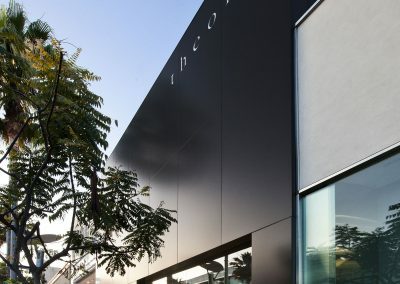 The façade of this shop features a monolithic black aluminum panel façade with backlit inlaid acrylic signage.